Home Entertainment Manchester United boss Moyes is SACKED!! 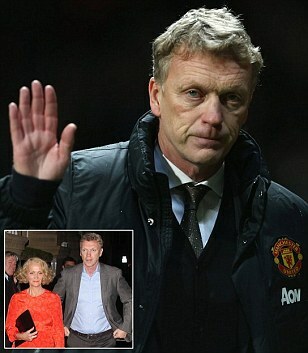 Manchester United boss Moyes is SACKED!! After 10 disastrous months in charge Moyes was axed by the club’s American owners, who lost patience with his poor performance. The 50-year-old Scot was seen entering United’s Carrington training ground this morning at 5am, so he could clear his desk. Chief executive Ed Woodward arrived at Carrington at 8am on Tuesday morning to inform the Scot face-to-face of the news.